Test the limits while on the road with the Bobster Touring II durable and flexible goggles, which allow continuous clarity and comfort. 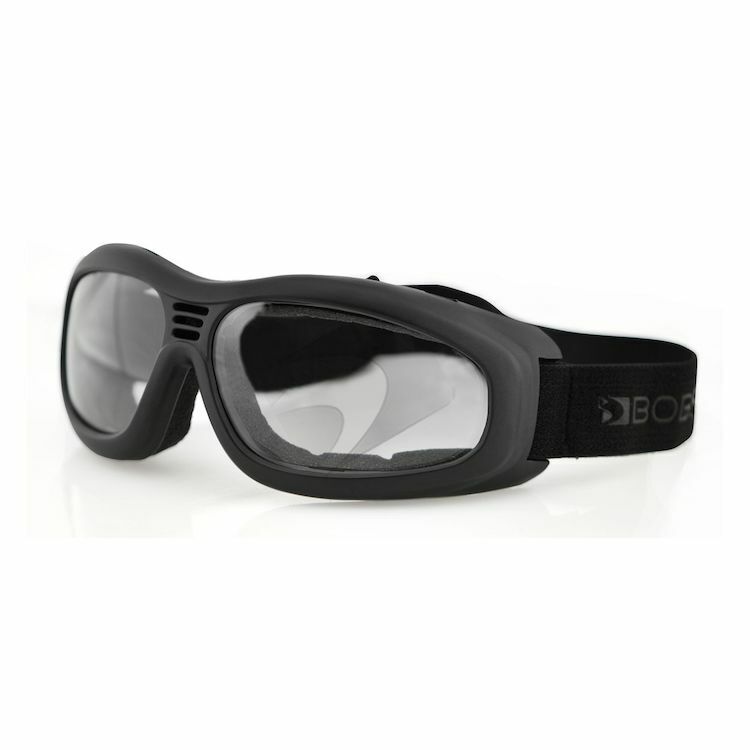 Made of polymer elastomer material, the frame is shock-resistant, non-allergenic and lightweight. Airflow is regulated through vented slots on the frame front which prevent fogging. Open cell foam absorbs sweat and retains vision clarity by excluding dust and debris.